Everyone knows about Salman Khan very well, the whole country is a huge fan of him. Salman Khan is king of Bollywood cinema who worked more than two decades. 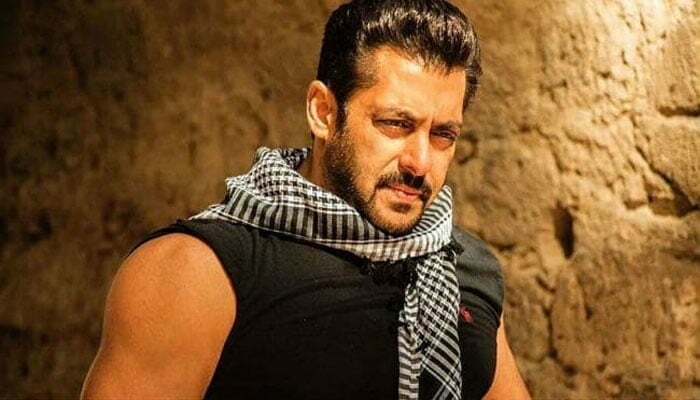 Salman Khan is also known as the Bhaijaan because of his famous role in Bajrangi Bhaijaan, he is also called sultan of Bollywood because he gave huge blockbusters every year. Salman Khan has a huge fan following not only in India but also in the world. Salman Khan had finished the shootings for the film Race 3 directed by Remo D’ Souza and was set to hit the theaters on 15 June 2018. All the people know that he is totally strict towards his diet and fitness and also promote the healthy and fitter lifestyle. This time he made many changes in his lifestyle to fit perfectly for the movie Race 3 that is an action based movie. He loves to eat Indian an Italian foods every time when he got hungry. But people also know that he is the biggest Bodybuilder and fittest star of the industry. This time he restricted himself to achieve best possible results for the movie Race 3. He has a full protein-rich diet comprising fish, egg white, meat, and milk to compete for his intense workout regimen. According to Salman, the kind of food he eats is as important to the body as his workout. So, he not only just concentrate on his immense workout routine but he also keeps away from processed and sugary foods items. Salman Khan works out for more than 2-3hrs every day which is followed by a disciplined workout session which includes weight training for 3 days a week and cardio session for 3 days. Sunday is typically his rest day. He generally focuses on only few body parts – biceps, triceps, abs, legs, and back. Salman can do 2000 sit-ups or 1000 push-ups or 500 crunches at a time. Weight Training: Monday, Wednesday, Friday. Salman Khan starts the workout with warm-up exercises such as jumping jacks, squats and push-ups. He also execute deadlifts for bounding his back and leg muscles, and even does bench press exercise for his chest and biceps too. He does 4 sets of 6-8 reps for his arms and 6 sets of 12-14 reps for his chest. Race 3 is releasing on 15 June 2018 so get ready to enjoy another blockbuster of Salman that is really a wonderful movie. Audience gonna too much enjoy this movie. Get ready for Salman Khan in Race 3.